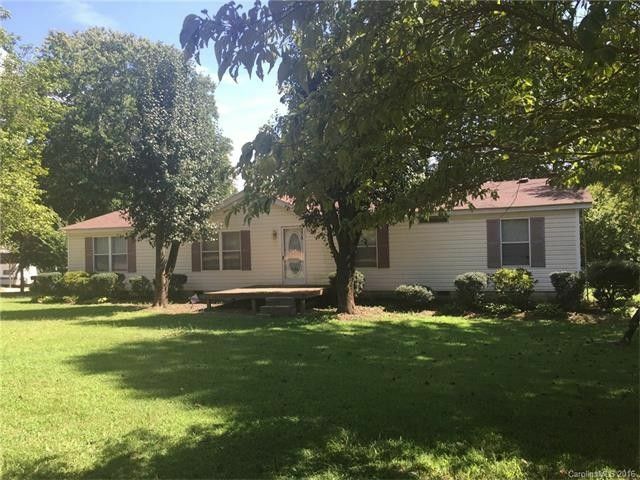 Quiet country living in this nice 3 BR, 2 BA doublewide on a large corner wooded lot. Home is a split floor plan with lots of living space and very open plan. Large kitchen opens to dining area and great room with fireplace. Master is spacious and the MBR has a garden tub. Directions: Salisbury Concord Rd to Roy Cline Rd, rt on Geneva.